The aspens and wildflowers of Colorado’s Rocky Mountain slopes and meadows cured us quickly of all things Kansas. I drove a day of indulgence over Guanella Pass to my brother’s home in Boulder. Chance mowed the uneven lawn with a push mower that he found around back until the guy we’ll call “Hal” returned from work. We took over his couches for the night and after attempting to get his garden in order, we headed back into the hills. A brief visit to a dear river rafting buddy from long ago and we were again in Colorado Springs, this time moving Chance into his dorm for summer school. He grinned at the woman behind the counter, telling her she ‘rocked’ when he found he’d scored a double, a spacious room on the quiet side of the building. We did laundry then I headed West alone. After visiting more friends in Arizona I head across the Kaibab plateau, which rises more than a mile above the Colorado River, which formed the Grand Canyon, which lurks south. As I descend the plateau a truck pulling a fantastic metal sculpture pulls out from a rest stop in front of me. The sculpture is of four life-size horses, galloping. They are galloping in a strong but graceful wind in rusting glory across the vast but tightly packed landscape that is a stakebed trailer. 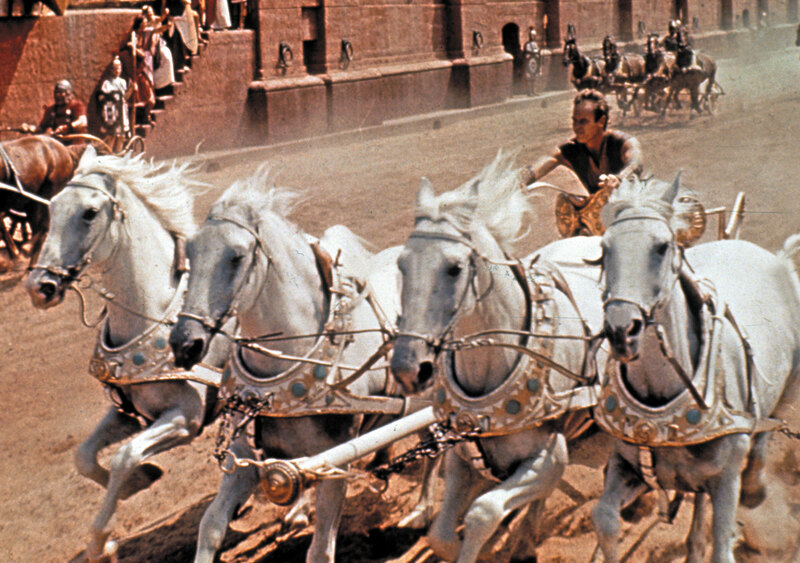 It is just like in Ben Hur, except the carriage is pulling the horses. Shortly after the horses choose a different path, I found myself July 5 in the Valley of Fire. Don’t you just want to climb up there? This is a playground of deep red sandstone. Wind and water have eroded pockets, little dry caves, so children just want to climb and explore. I among them. Red sand permeates everything here. I find it in my sleeping bag, in my coffee, in my hair. Days later I notice mounds of it where I tilted my sandal up to press the brake pedal. As I contemplate the setting sun on the red rocks, enjoying the glowing silence, I realize the German-speaking tourists at the next campsite go to bed early. Yup, five a.m. is wake-up time in the homeland of these darling little loud children. I finally meet them face to face on a walk in a wash. We are all heading over to see some petroglyphs. The father, carrying a daughter on his shoulders, sees me and immediately apologizes. I am astonished that the family walks right by petroglyphs on an overhanging cliff, even though I pause to study them. They are following the signs to the “officially protected” petroglyphs we have to climb a set of steps to view. I wander up the wash, peering behind rocks and bushes to find more and more shapes rubbed from the patina of exposed rock. I recognize bighorn sheep, females, and reptile shapes that are not quite familiar. This ancient graffiti also forms vulgar sexually explicit shapes. Perhaps this is why the petroglyphs here are not protected, perhaps the state of Nevada would rather look the other way when it comes to such displays of primal urgency. Perhaps I am wrong. Perhaps it is the prurient appeal of the petroglyphs that guide the state of Nevada. I think of the Mustang Ranch sign I pass when I drive toward Elko from Reno. Independence is where you choose to find it. Go West, part 5: We are Not in Kansas Anymore. And We’re Never Going Back.